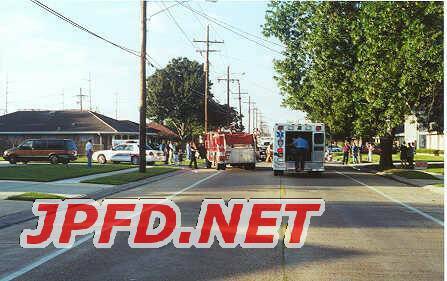 Around 5:45pm on Tuesday September 26,2000, Station 13 was dispatched to a reported car fire with extrication needed at Cleary Avenue and 39th street. 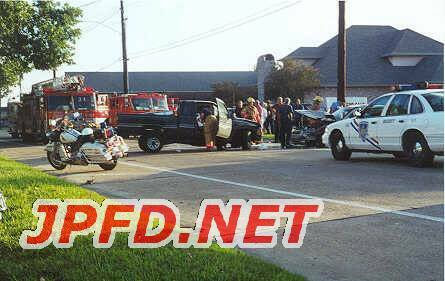 Earlier that evening a drunk male driving a black Nissan pickup crossed the center line on Cleary and hit a tan Toyota Camry head on. Both occupants of the Camry and the driver of the Nissan were transported to the hospital.